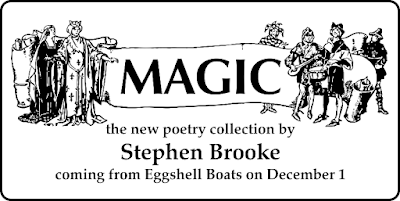 The new poetry collection from Stephen Brooke, MAGIC, will be out on December 1, 2018 from our Eggshell Boats imprint. 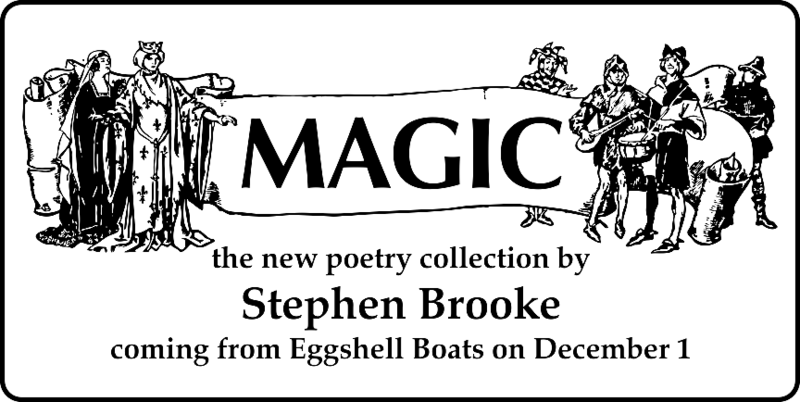 Just in time for your holiday shopping (not that one can't buy it anytime! ).